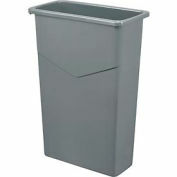 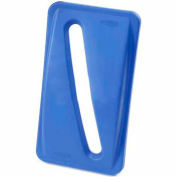 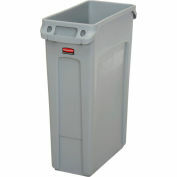 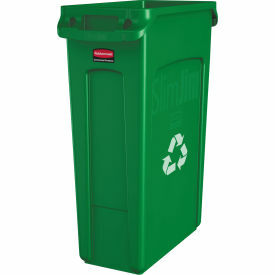 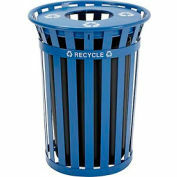 Low-profile Rubbermaid Slim Jim Recycling Container features molded in handles and base grips to make lifting and emptying easier. 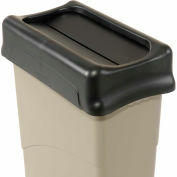 Slim, space-saving container is perfect for use indoors or outdoors. 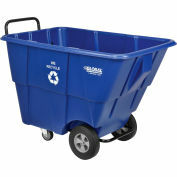 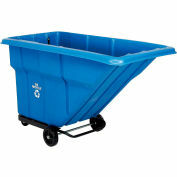 23-gallon capacity handles high-volume needs, such as in a hallway or at an entrance. 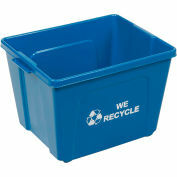 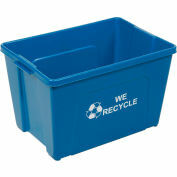 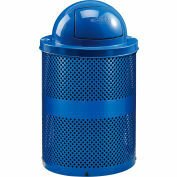 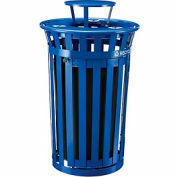 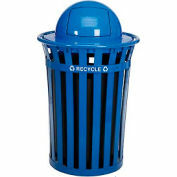 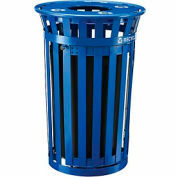 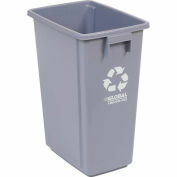 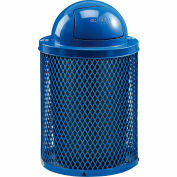 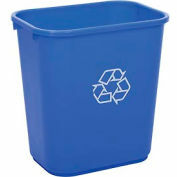 Plastic containers and lids are designed to withstand extreme weather. Containers and lids sold separately.